The people who experience the many benefits of homeopathy at first hand are patients themselves. You can hear what they have to say by watching the short videos here, or you can visit the testimonials page on the Find a Homeopath website.  There you can read the many accounts of how homeopathy has helped people experiencing all sorts of different health problems. Homeopathy is safe, natural and effective healthcare. Why not try it, and see for yourself?